PAWS of CNY, Inc. is pleased to offer Therapy Dog Training classes designed to prepare dogs to pass the PAWS of CNY certification, as well as to provide ongoing education to dogs and handlers who are already certified. 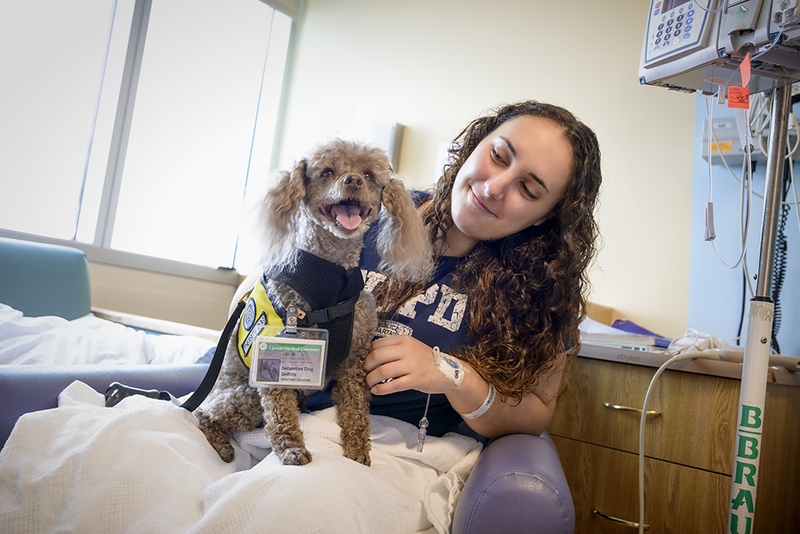 The training classes are not mandatory in order for a dog to be evaluated, but they are encouraged for dogs who are good candidates for pet therapy work but may need assistance perfecting some of the certification criteria. Click here to learn about the course content. Courses are routinely scheduled throughout the year. View our events page to see current and upcoming course information. Please note that as a class prerequisite, dogs coming into the class must have a good foundation of basic skills such as sit and leash manners. There are five classes in each session. The total cost is $100. Please contact us to learn more about the available therapy dog training classes.